Now that I've got the storage units in place, everything else should come together and I will be able to get organizized, just like Travis Bickle (hopefully not to his level of frustration). 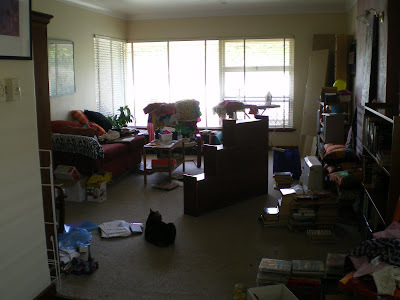 So this is the living room prior to the addition of the bookcase which used to be in the bedroom. I will have to move the chaise and see how it looks nearer to the window. 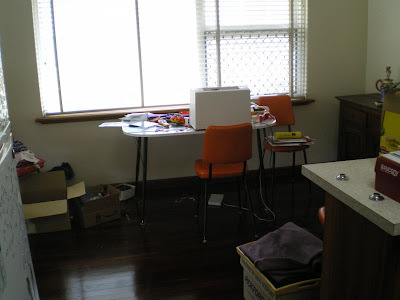 This is the dining room, with the dining table due to give up its current role of sewing table. My proper sewing table will now be in the craft room. 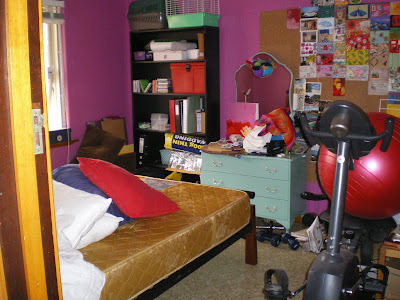 This is currently the spare room, although it was once my bedroom, and may be again. 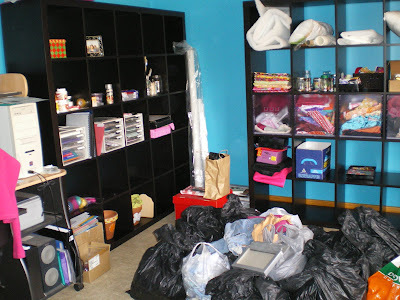 And finally my craft room. Last night I started putting things into the storage units, but I've still got a long way to go. The plan is to tackle a room every couple of days (although it has taken me since July to move the fridge and buffet back into their rightful places). I am so sick of mess now. I just want everything in its place so that I can find whatever I'm looking for.